We apply the covariant spectator quark–diquark model, already probed in the description of the nucleon elastic form factors, to the calculation of the deep inelastic scattering (DIS) spin-independent and spin-dependent structure functions of the nucleon. The nucleon wave function is given by a combination of quark–diquark orbital states, corresponding to S, D and P-waves. A simple form for the quark distribution function associated to the P and D waves is tested. 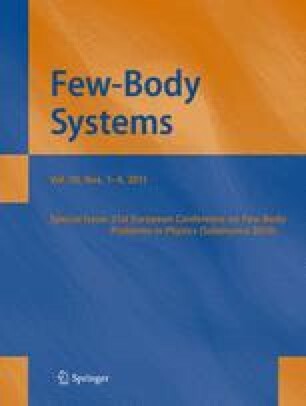 Presented at the 21st European Conference on Few-Body Problems in Physics, Salamanca, Spain, 30 August–3 September 2010.